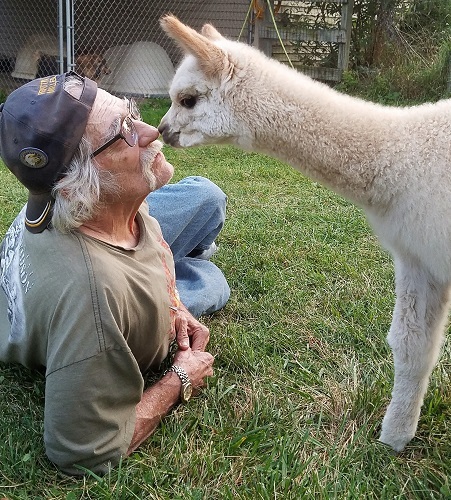 Kuliana has never appeared on our website until recently, she was one of our hidden gems we showed but never got around to breeding as we cut back on producing cria the past few years. 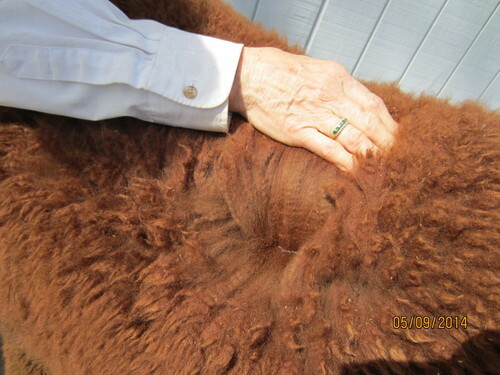 Beyond her world class record setting genetics, she consistently produces exceptionally fine, crimpy rich brown fleece. 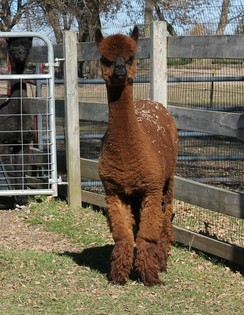 Kuliana is simply an adorable, shy, quiet girl with lovely black points and a pure black spot on her thigh. Her bloodlines are exceptional, with Snowmass Matrix Majesty as her sire, and Snowmass Matrix as her grandfather. Snowmass Matrix Majesty was the Reserve Dark Herdsire of the Year award at the 2011 Futurity as well as the Fawn Champion at the 2010 Futurity and with good reason too. 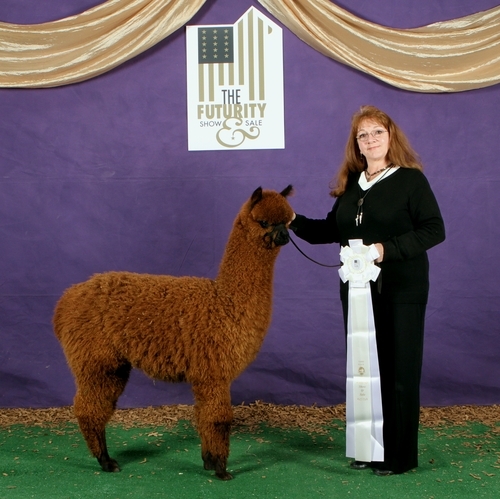 Matrix Majesty is the genetic amalgam of some of the greatest names to ever grace the North American alpaca herd. 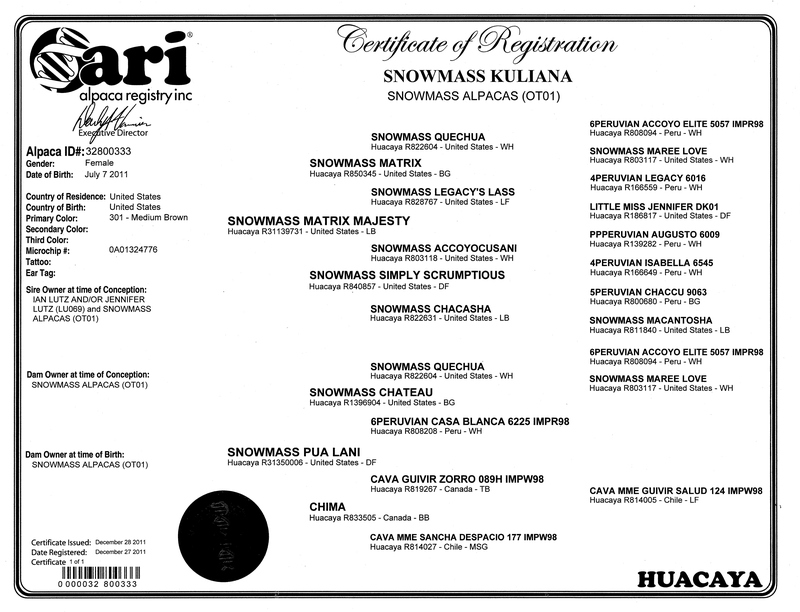 Herdsires such as Chaccu, Legacy, Hemingway, Quechua, Matrix, Elite, Augusto, Accoyocusani, and Bueno are all present. Also present in his pedigree are the famous rock star dams PPP Prestige, 4P Isabella, PP Jesusa, and Snowmass Maree Love. Snowmass Matrix Majesty and his offspring display the amazing fleece characteristics that the Peruvian Quechua line has become known for: the combination of elite fineness and uniformity throughout while sacrificing nothing in density. Now fully owned by CCNF and used almost exclusively within their own herd , as of January 2017 Majesty is closed for outside stud service. On Kuliana's Dam's side her grandmother is Chima, a stunning black female purchased by Snowmass from a breeder in Canada said to be one of the finest blacks around. 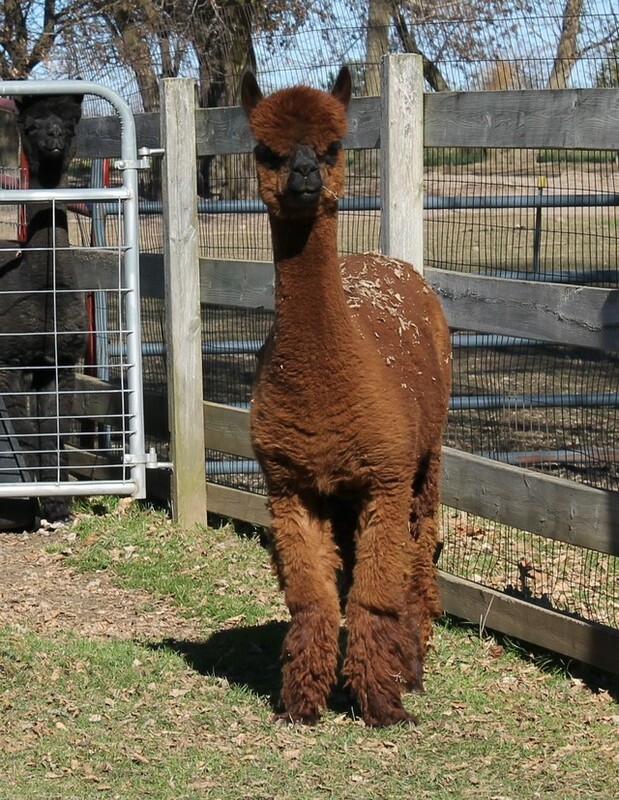 Ideally Kuliana should be bred to an equally fine and dense cinnamon brown like herself, or an outstanding true black for next generation dark color show winning offspring. Don't miss this opportunity to own a prized female purchased at auction directly from Snowmass. 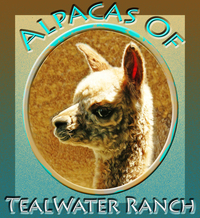 Cash; Tealwater Ranch will deliver within 60 miles of Tealwater. Transport/delivery beyond 60 miles of Tealwater Ranch is the responsibility of the buyer.